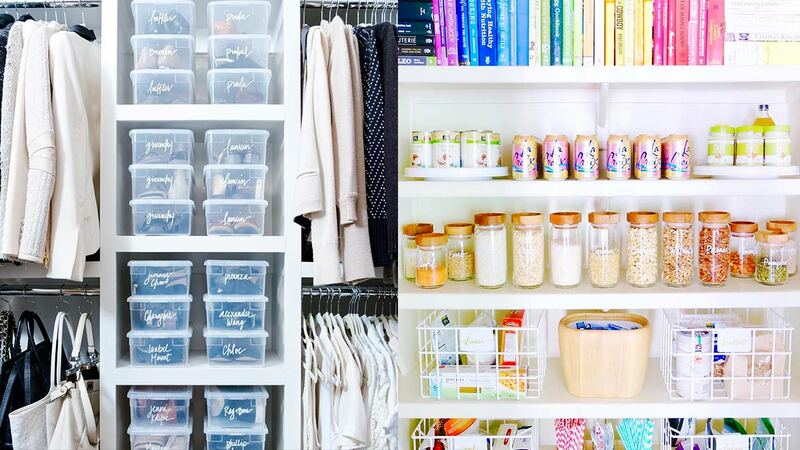 When my life is in shambles and I can't find anything on my work desk or home closet, I like to sort of make myself feel better by scrolling through photos of insanely organized spaces. Don't ask me to explain the science behind it, but there's something therapeutic about admiring someone's cabinet where they have individual bins for everything while I have random paper clips scattered on my desk and crumbs in my keyboard. Here are 20 of the ~*best*~ posts from the source of all my happiness atm: The Home Edit. And yes, some of these are from celebrity homes, so enjoy, you lurkers.